Northern Light Technologies SAD Flamingo Box Light Lamp w/ Stand. The FLAMINGO...effervescent and luminous...brings all the promise of spring's vitality and energy. 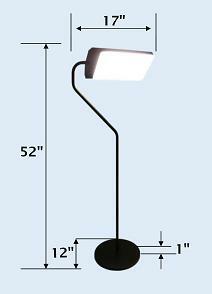 Whether on a treadmill or having your hair done, the FLAMINGO floor lamp stands at a height of 46 in. 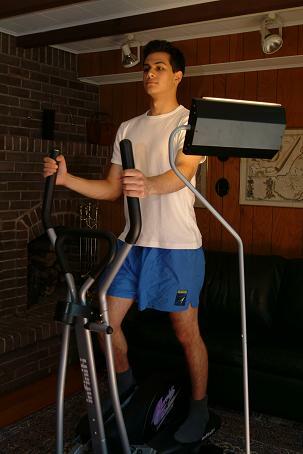 (117 cm) providing the warm and basking light your body craves. At 10-12 in. (25-30 cm) away, the FLAMINGO delivers 10,000 lux and should be used for 20-30 minutes. At 18 in. 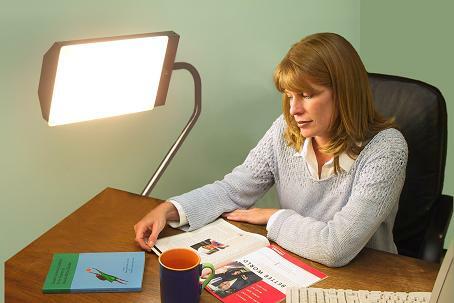 (45 cm), the FLAMINGO delivers 5,000 Lux of light, and we recommend its use for about one hour each day, preferably in the morning while working out, for example. The treatment works through the eyes, but does not necessitate looking directly into the light. This is the ideal complement to a morning workout on an exercise machine, as well as to any cosmetic/beautician treatment session that requires sitting for 30 to 60 minutes. Please give us a call (800)355-2956 if you have any questions regarding this item. - Universal Power: 100-277 volts, 50/60 hz.